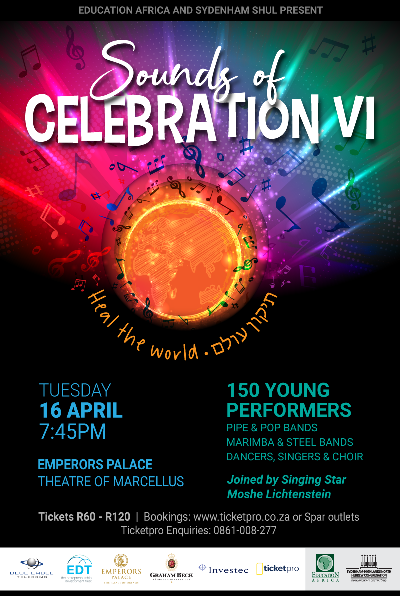 Education Africa and Sydenham Shul proudly bring audiences Sounds of Celebration VI. This year’s concert themed ‘Heal The World’ will take place on 16 April 2019 at Emperors Palace at the Theatre Marcellus from 19h45. Join in a celebration of arts, culture, and heritage and witness over 150 passionate young performers who include pipe and pop bands, marimba and steel bands including dancers, singers and a fabulous choir joined by renowned music sensation Moshe Lichtensteinand the Chupah Band who will mesmerize audiences with a unique musical offering. Through Sounds of Celebration harmony, collaboration, skills development, and artistic genius unite talented South African youth representing a wide range of cultures and instruments celebrating our diversity. Their performances celebrate our common humanity and use music as a medium to express their hope for a united tomorrow. This concert brings to fruition the sixth consecutive year of the ‘Sounds of Celebration’ project in which NGO Education Africa has collaborated with Sydenham Shul to uplift disadvantaged communities around Gauteng. The most recent of Education Africa’s 9 grassroots projects, the establishment of Marimba Hubs across Gauteng’s communities is amongst their most inspiring. 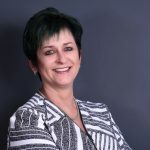 Education Africa has opened up 12 Marimba Hubs in and around Gauteng. These Marimba Hubs may be found in Alexandra, Soweto, Daveyton, Reiger Park, Etwatwa, Bertrams, Lenasia and Eden Park and Hammanskraal. Proceeds of this year’s funding will open 3 more hubs while continuing to sustain and expand the existing Hubs. We will be featuring 3 bands with disabilities including the Dominican School for the Deaf in Hammanskraal, Jiswa Training Centre in Lenasia for severely intellectually disabled children (S.I.D.) and MC Kharbai Special School in Lenasia for mildly intellectually disabled and deaf children (M.I.D.). For more information about the project and the concerts contact Education Africa 011 685 7300 or Sydenham Shul 011 640 5021. Tickets priced R60, R80, R100, and R120. Issued by JT Communication Solutions of Behalf of Education Africa – http://educationafrica.org/ and Sydenham Shul – www.sydshul.co.za. Participants include:The Boys and Girls Club marimba band from Protea Glen, Soweto, Goede Hoop marimba band from Reiger Park, Jeppe High School for Boys Scottish pipe and marimba band, King David Linksfieldmarimba band, MC Kharbai MID and deaf marimba band from Lenasia, Jiswa Training Centre SID marimba band from Lenasia, Dominican School for the Deaf from Hammanskraal, Neville Smith, singer extraordinaire, King David Linkfield Junior Choir, St Dominic’s Boksburg Steelband, St Peter’s Drumline, Indian Dancing Stars, Jehil and Kiran Ghurbarun and Moshe Lichtenstein and his Chupa band.